Helicopter tour, boat cruise & dinner. Upgrade any helicopter tour to include a Hornblower cruise on San Diego Bay. An exciting helicopter tour of San Diego. 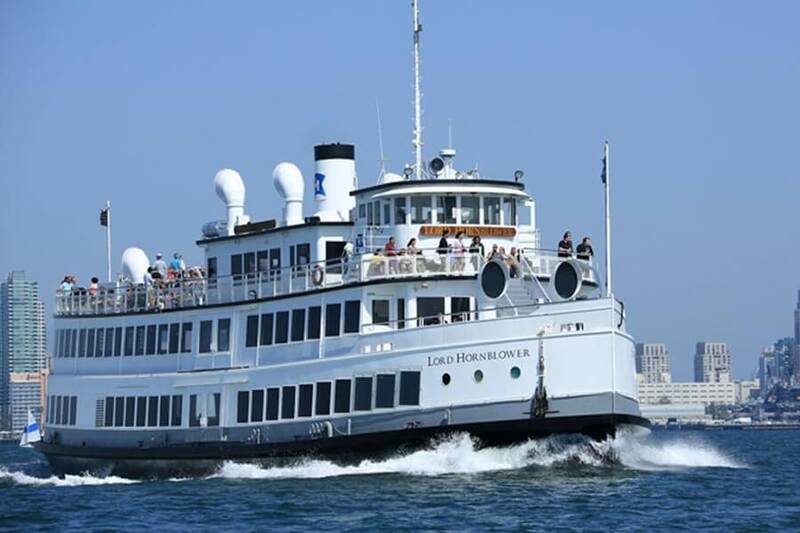 Plus a Hornblower cruise with your choice of a dinner or brunch. 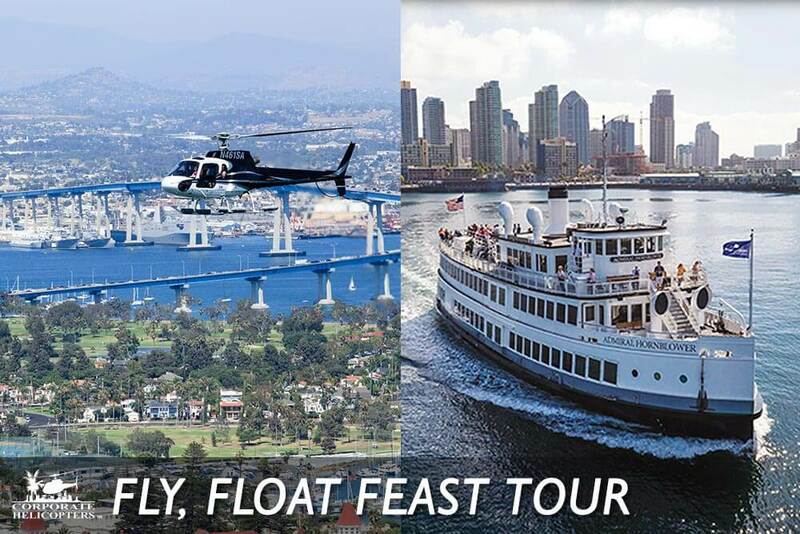 The Fly, Float, Feast upgrade allows you to further continue your San Diego adventure. 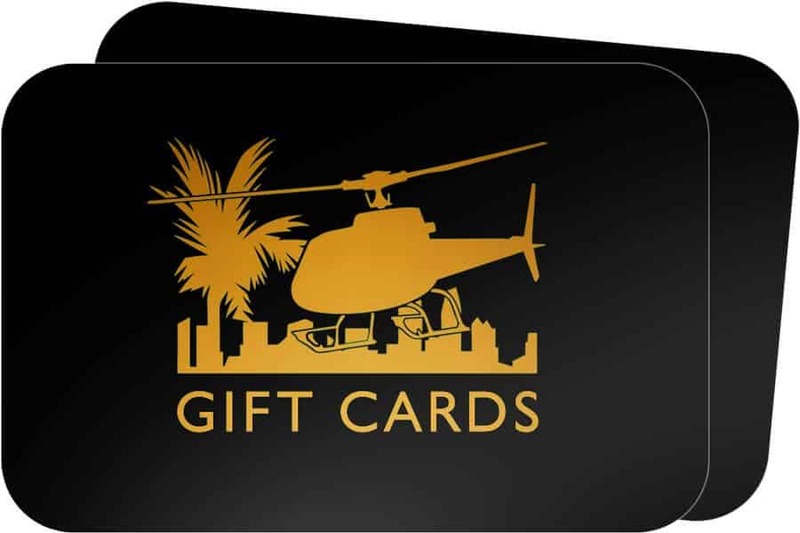 After your helicopter tour lands, you will receive vouchers to climb aboard a Hornblower cruise with your choice of a dinner or brunch. 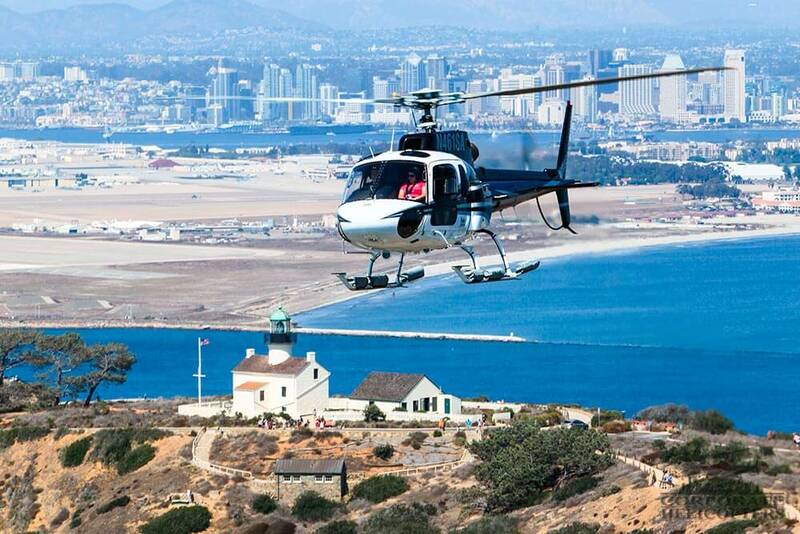 Add a Hornblower cruise on San Diego Bay (with brunch or dinner) to any helicopter tour we offer. After-flight brunch or dinner cruise. Continue your sightseeing voyage, floating on San Diego Bay. Sip a complimentary glass of champagne and feast on a freshly prepared three-course meal at your reserved table.